There are graphics, step charts, and lyrics for an unused song in the game's data titled "CAN'T TAKE MY EYES OFF YOU (70's Remix)" by BEAT BOX. This song is an eurodance cover of Boys Town Gang. 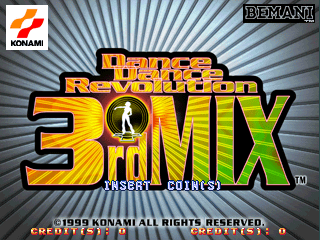 This song samples "HIGHS OFF YOU (Scorccio XY Mix)" and also appears in DDR MAX. Banner for CAN'T TAKE MY EYES OFF YOU (70's Remix). Background for CAN'T TAKE MY EYES OFF YOU (70's Remix). The audio for CAN'T TAKE MY EYES OFF YOU (70's Remix). You can play this song in Stepmania, however there are no difficulty options for this song. This page was last modified on 16 February 2018, at 10:54.